Now, welcome to new ASAN, family members, if this is your first newsletter… I do try not to be one of those who fills up your inbox 5 times a week…. ( I hate those companies)…but when I get trunk shows in / or have sales, this is the information that I really try to get to you, and also give you any other pertinent information about what is going on. There is no doubt that Fall is really here!! We have Indian Summer for a few days then rain then back to more beautiful weather!!! My November Trunks shows are arriving, and are selling fast. First to arrive was Princess & Me .. www.princess&me.com then these cuties were quickly followed by the Annie Lane show. www.annielane.com With this show, we also have the Annie Lane accessories, at the request of our stitchers, and they include, scissor fobs, magnets, t shirts, and aprons, all are vey cute. The next trunk show to arrive later this month will be Maggie & co. and Ewe & Eye. www.ewe&eye.com and www.maggie&co.com . Remember to check the links to find what you might want to either pre order at show prices. Our needlepoint finishing deadline has come and gone for all except belts and key chains, and that deadline is NOVEMBER 15TH. Regarding stockings and ornaments that were shipped to the finisher, we are getting items back now weekly and we will call you as soon as items return. I will also be here until all items are picked up. As with last year we do have pre-finished ornaments here for sale in the shop. These are not needlepoint ornaments, however they are beautifully crafted and made by hand by one of our stitchers. Next time you come into the shop, remember to “look up”. They can also be custom ordered until Thanksgiving, for Christmas delivery. The price for any that are special ordered; $30.00 each. The prices for the ornaments here in the shop are $19.95 for the small and $24.95 for the large. Last year there was an extra charge for the boxes, this year the boxes are included in the price, so they are ready to go, under the tree, (with a little gift wrap). Trunk of Treasures is quite full at the moment, so if you are looking for a great project that is really economical, remember to check out the trunk. Also this is a great way to make some extra $$$ for Christmas shopping, as well. If you have pieces in your stash that you keep looking at, and you know you will never do, or never finish, bring them in. More than likely, someone else will consider them a treasure-at some point. It may take a while to sell them, but they do sell. I have been amazed. We started this about 3 years ago just as a trial, and it has gone over very well, with several customers netting between $1-2,000. So seriously go through that stash. All of our tastes change, and even though Goodwill is great, why not make a little money on what you have. Now along a similar note, we have some great pieces of linen here that would be fabulous for either counted pieces or cross stitchers. This is linen that was being held for finishing, and my thought was that why not offer it up to customers at discounted pricing. Some of the pieces are quite large, and I have the sizes marked, others are perfect sizing for pillow backing, and are marked $3-$5-$10 each. I did check the pricing of the linen on the Nordic Needle website to get accurate pricing. I am also willing on some of the larger pieces to cut them down to accommodate your size needs. New Stretchers-In May, at market, new stretchers were introduced. These come in 4 sizes and work similar to the Evertites. They have the ability to tighten your canvas after mounting. The 4 sizes available are 8 x 8, 12 x 12, 16 x 16, & 20 x 20. Now for comparison on tightening. With the Evertites, we did not place tacks at the corners, and used a tool to tighten the canvas to the frame as the canvas became loose with time and stitching. Here the same thing could happen. With the canvas that I have attached (a 10” canvas on the 12 x 12’s), I did not tack the corners, and to tighten, I removed the tacks closest to the corners which allowed the sides to have a little more freedom-(this is where the wing nuts are attached), then- loosen the wing nuts- and re-adjust the frame- which tightens the frame - and the canvas is tighter-just like with the Evertites. I know this pricing may seem a bit steep, but keep in mind these are multi use, and very interchangeable. (Overall here these are much cheaper than evertites in the same sizing). The wood is much more like the Evertite wood, definitely better quality than the basic stretchers. I also suggest that you use the “Grande Tacks” on these bars as well. We have noticed that the quality of the “Japan Brass Tacks” has been going down dramatically lately, and on the last order, we could not even get them!!! We are continuing to stock both types of stretchers, and tacks, but consider these new ones for your next project; you might find that you really like them. I do need to let you know that for the first time since I took over the shop, I will take a two week vacation starting Christmas Day. The shop will reopen January 11,2016. Another thing that we have done here is to decide to liquidate fibers where we are not selling the full line of the fiber. We have put them in bags, 10-15 assorted fibers per bag, and they are selling for $10.00/ bag. So you ask, what fibers are these, and do I want any of these enough to buy others that maybe I do not want??? Well, we got the idea from both customers and other shops doing the same thing. 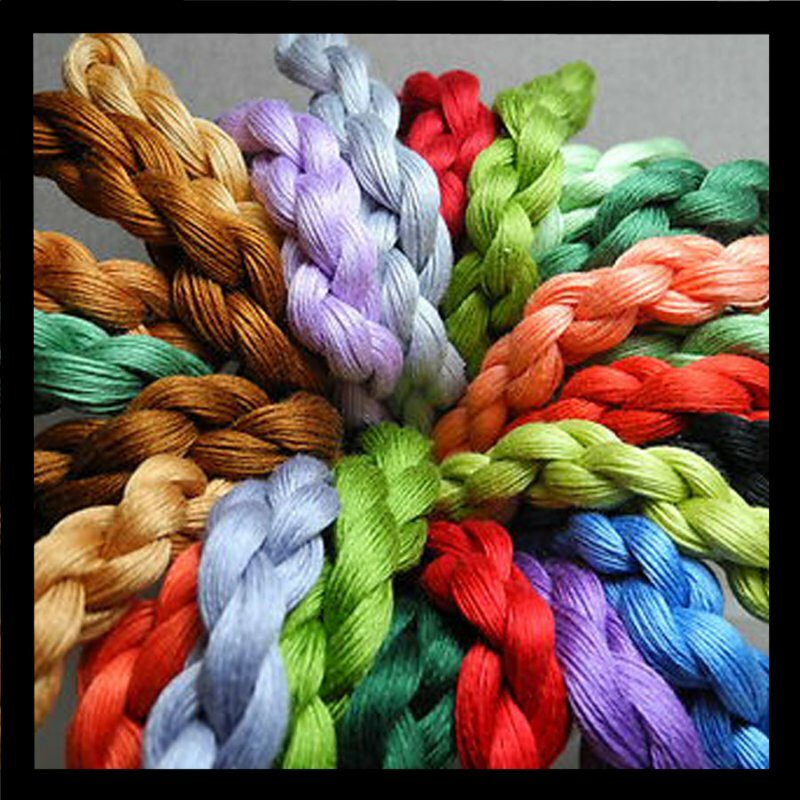 It is a great idea to try fibers that maybe you would not otherwise use, and maybe you will like them….I have found several fibers this way, and love them. And WE ALWAYS NEED MORE FIBERS IN OUR STASH ….RIGHT…!!!!!..... (if you think you don’t…either you are not a true stitcher, or you have more than me!!!!!) These bags are filled with Trebizond, Marlitt, Frosty Rays, Silk n Colors, Elegance, Anchor Perle, Nordic Gold, Sprinkles, Highlights, etc. the list goes on and on and on….. The majority of these resulted from our ordering fibers for a customer and the minimum order from a vendor may have been 6 or more, and the customer may have only taken 2 etc. So what we were left with over time, maybe we sold one, maybe not…These are a great deal for everyone and may contain your next favorite fiber. I am planning another newsletter early next month, as there are some other items brewing that might be out at that time, so at the very least it will give you ideas for Christmas giving. And keep in mind we always have Gift Cards!! !